ACTON offices are strategically located around the vast Swan River and up and down our wonderful sandy beach, coastline suburbs including the massively expanding town of Mandurah to the south and quality family homes up to and now well beyond the suburb of Mindarie to the north. This has allowed us to increase local support to all of our clientele while retaining the positive and essential qualities unique to strong boutique agencies, such as highly personalised service and in-depth market knowledge. With the largest team on the Northern Beaches across all property types we have you covered for all your property needs either residential or commercial. We believe in strength in numbers, we have more contacts with more possibilities to achieve a better results for you..
A Melbourne real estate company which helps existing or potential investors with the buying, managing and selling of their residential investment property. We currently manage over half a billion dollars worth of investment. Rental Inspections Tasmania provides independent expert rental inspection services on behalf of property owners, tenants, solicitors and property trustees. Offering a unique tailored approach constructed to the requirements of the specific inspection – rather than a ‘one size fits all’ attitude. Agentbox is an Australian real estate software company that provides solutions such as client CRM, Portal Exporting, targeted prospecting and more. With a passionate team, we understand what is needed to help your business reach the next level. 145/4 Cornwallis St, Eveleigh NSW 2015 Australia 02 8999 3370 http://agentbox. Canberra based boutique conveyancing firm. We will provide you with clear legal advice and a seamless conveyance that removes the risk and worry. Being different to other conveyancers, in that regard, is definitely why people choose to trust us with their property transactions. 3 Hobart Place Canberra ACT 2601 Australia http://aulichconveyancing. Licensed Real Estate agent which services include; buying, selling, asset management (property management), project marketing, overseas buyer advisory; have international networking..
Estate Lawyers offer expert legal help with wills and will disputes, estate planning and litigation, letters of administration and probate matters..
With decades of experience in the local Real Estate market, Caroline Springs Real Estate has incredible staff ready to help you.We pride ourselves on providing the best service at the best price, which is why clients & landlords keep coming back to us.If you need in-depth knowledge that only comes from countless local sales, rentals and investment opportunities, then we are ready to help you. Modern Real Estate Agency with lower rates & innovative marketing ideas saving you $1, 000’s in fees offering a full real estate service and a unique owner assisted service where you manage the open house and we take care of everything else..
A local, boutique and professional company with over 20 years experience. We go the extra mile for both tenants and owners as property management is the only thing we do!We run a small, efficient team, contactable 24-7. 365 days per year. Unlike most agents who close their offices on the weekends, we show properties Saturdays and Sundays and evenings to maximise exposure. It’s now rats and mice season as they are looking for shelter and food. They eat and urinate on your food and can make you very ill and eat through cables. If not caught they start breeding from 8 weeks! Call Bob 0407 065 413 – http://a1pestcontrolcanberra.com.au. We are an independent Property Buyers Agency that exclusively represents the Buyer in a Property Transaction. We assist Property Investors and Owner Occupiers with achieving their property goals through purchasing residential and commercial properties from our multiple offices in NSW and QLD. http://www. We are a Property Management company that only does property management. We work in the Perth Metro area. We are focused on providing a smooth and easy property management service to landlords..
RPM Queensland Pty Ltd is a management consultancy business specializing in home mortgage (debt) reduction and property investment planning. We are a locally based company with over 40 years combined industry experience with a Team of highly qualified, experienced individuals http://www.rpmqueensland. Are you finding a Property or Room for RENT? Apply Today! Fresh Property Management Group can make your experience in finding your next dream home or room an enjoyable one! Find houses for rent in Geelong and surrounding areas by selecting from our list of rental homes, or by entering your search criteria below. Feel Free to Give us a call today on 0438 257 749 and we will help you find the perfect rental property!!!! To Know More Visit: http://www. At 360 Degrees Property Inspections it is our sole intention to provide a comprehensive written report with photographic evidence Leaving you safe in the knowledge that our inspection provides you the security to make the right decision Be assured you know what you’re buying.. Residential property management & sales specialist real estate agency, operating in Brisbane, Gold Coast, Newcastle, Sydney & Melbourne. Our offices are fully independent, non-franchised & our service is tailored to meet the needs of each individual investor & seller.. Looking for the Chinese Property Investment in Australia? No need to look anywhere else as new home builders of On & On Developments are located in Melbourne..
28 YEARS INDUSTRY EXPERIANCE ! JUST CALL TO ASK IF WE CAN DO IT FOR YOU ! WORK COMPLETED ALL OVER THE STATE . ALL GENERAL MAITENANCE ! LANDSCAPE / PROPERTY / BUILDING MAITENANCE . IT COULD BE WORTH THAT PHONE CALL TO ASK IF WE CAN HELP YOU ! COLOUR MY WORLD / GARDENS SOOO GOOD LANDSCAPE / PROPERTY BUILDING MAITENANCE. Elite Property Advisory was founded in 2011 to provide buyer advocacy services to our clients across Melbourne. As leading property professionals, we always place you and your needs first. We work on your behalf exclusively, and our team has purchased thousands of properties over many years. We’re committed towards stronger transparency within the industry and have a genuine desire to help buyers to be better informed and confident about all things real estate. Professional Victorian based land and property development company offering both residential and industrial land projects. We take great care and pride in ensuring each development is created with foresight, understanding of residents’ needs and relentless attention to detail..
Point2 Real Estate is one of the leading real estate agencies in Mount Eliza. We are glad to announce this special offer among our valuable Clients. The Offer is "Free Market Appraisal to Your Home and You have chance to Win an iPad Air" Are you planning to sell your house? Before you do that, get yourself registered for a free market appraisal of your home with us. The Sydney expert in airbnb property management Your Sydney expert in short-term/ holiday rental management. Specialising is airbnb hosting. We maximise rental returns on investment. 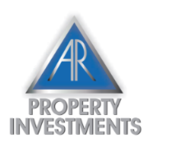 At AR Property Investments, we show you how property investment works. Why you should treat it like running a business. Where you should invest. How to optimise your tax position. Not only that, but we do most of the leg work for you. We’ll help you get your finance approval, source the best land, make the selection of the right property for that location easy, project manage the building of the investment, find and manage good quality tenants for you, even help you prepare schedules for depreciation. Buying the first home could be one of the biggest purchase you will ever make. We help first home buyers and give support they need from start to finish. Call them today: 1300 78 33 02 or visit: futurehomeliving.com.au. Get ready to own your own home in 15 weeks. Future Home Living is your first time home buyer specialist in Perth. Call them today: 1300 78 33 02 or visit: futurehomeliving.com.au. Paragon Property are real estate and property management consultants in the North Perth and surrounding areas for over twenty years. Contact us for quick enquires. Call us on (08) 9227 6666 or visit: paragonproperty.com.au. We are a leading custom luxury home builders based in Perth. With a wealth of building experience, we work together to unlock your ideas and make them reality. For more enquiries, call us (08) 9244 2883 or visit: design-construct.com.au. Look no further than the leading real estate brand in Perth Western Australia. ACTON has what it takes to meet your realty needs. Call us today on 08 9386 9174 or visit: acton.com.au. Property services Australia ads Australia, Property services classifieds Australia, Property services free ads Australia, ads for sale Australia, ads to buy Australia, FREEADSAustralia Page number 5-1. Find here ads for sale, to buy and rent in Australia. Goods for sale in Australia, vehicles for sale in Australia, Australia real estate for sale, Australia property for sale, property for rent in Australia, business ads in Australia, Australia business classifieds, services in Australia, Australia services ads, jobs in Australia, pets for sale in Australia, Australia dating, Australia cars for sale.